Welcome to Music Together®It's Groovy, Baby! 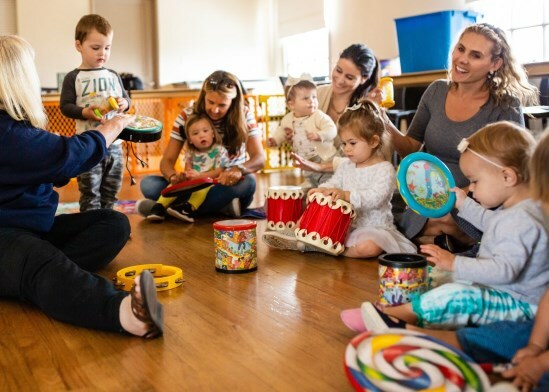 Every child LOVES Music Together®! During the early years, it is extremely important that parents and caregivers be the ones who create a nurturing environment. 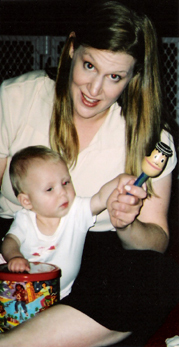 Children are biologically "wired" to respond most to those with whom they have close bonds. 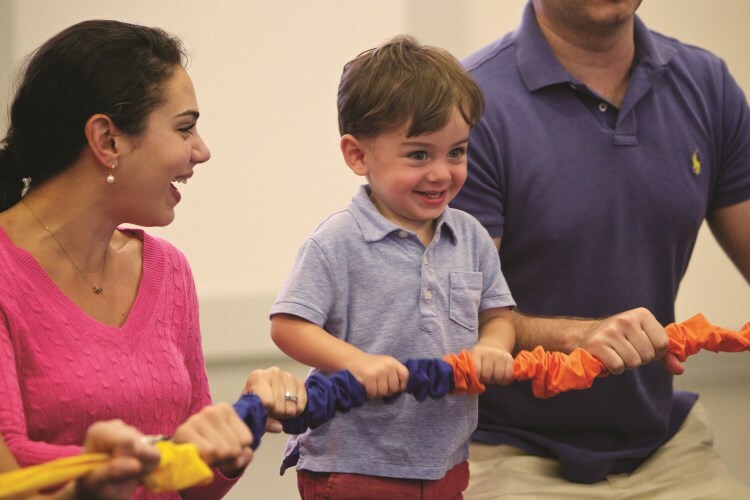 Music Together classes help you build that bond. Best of all, it's fun! 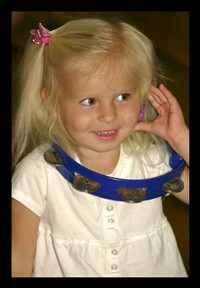 Our classes are a place where tambourine necklaces and castanet phones are educational! 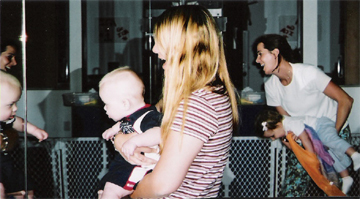 Mommy and child for dyad. 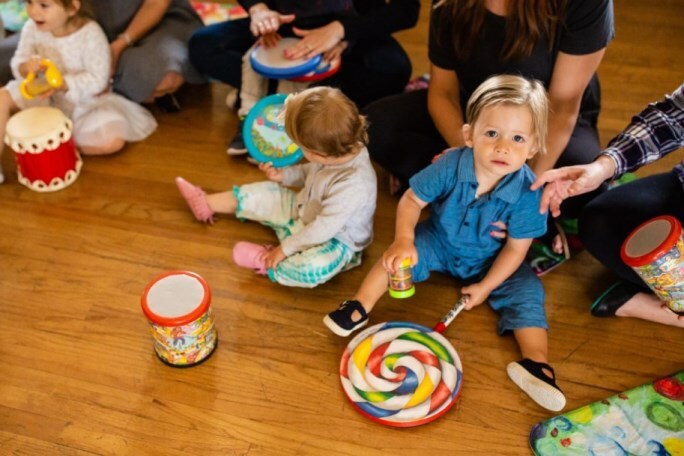 Activities focus on adult/child interaction rather than child/child, so children of different ages (such as siblings) can enjoy classes together. 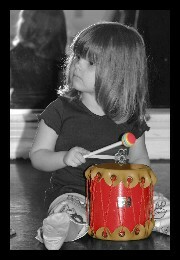 Teacher Bettina's handing out the rhythm sticks. 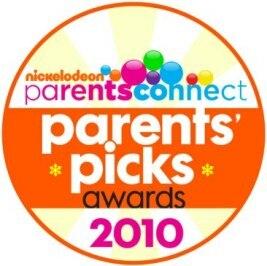 Nickelodeon’ Parents Connect has just announced that It's Groovy Baby is the best local music class in Baltimore! One of my Music Together classes on Halloween day. 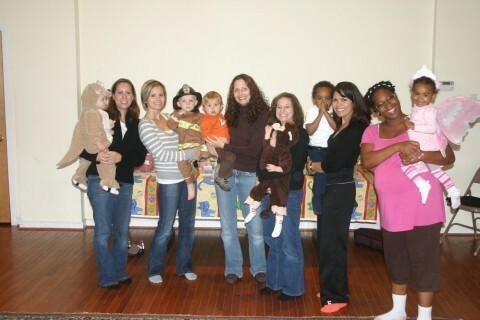 What a fun and CUTE class we had! 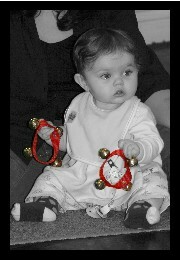 Would you like to drum with me? 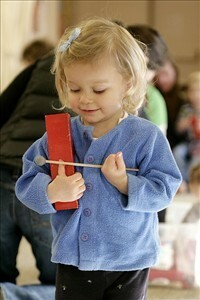 We sing on the "resting tone" when we put our instruments away. A parent is a child's most important teacher. 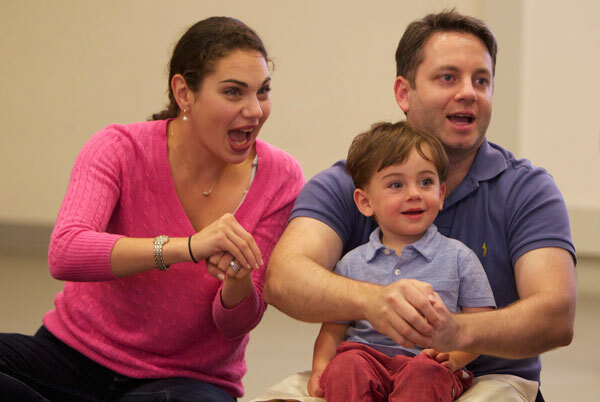 Research shows that children learn their disposition toward music from their primary caregiver! 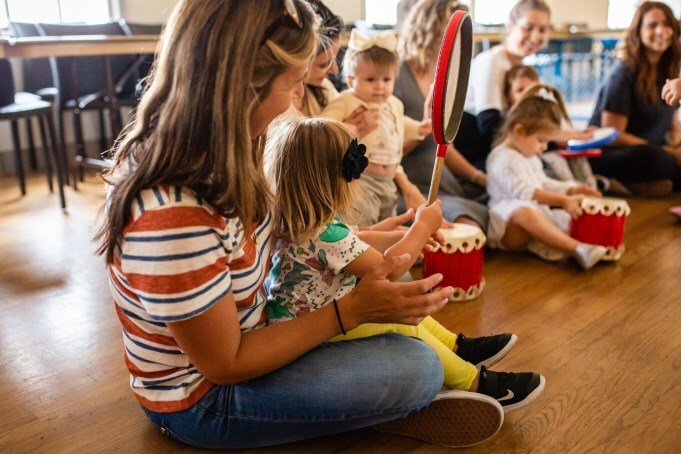 A parent that has a difficult time singing in tune can still teach his or her child that music is fun and important by modeling enthusiastic participation. We offer parents' education during class to increase the understanding of the relevance of the activities to your childs' development. 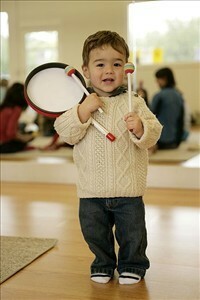 We encourage you to model joyful music-making in class and at home. 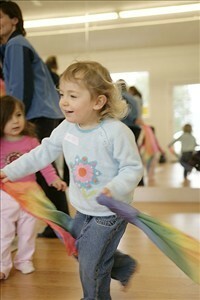 Activities in class are used to grab our children's attention...an all time favorite is the ROLL BACK! 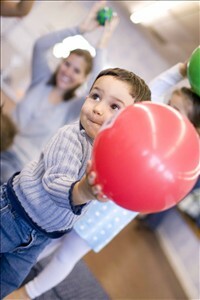 Balls are a great way to also show rhythm, rolling, tapping, bouncing, and waving! Freedom to play our instruments the way we choose. 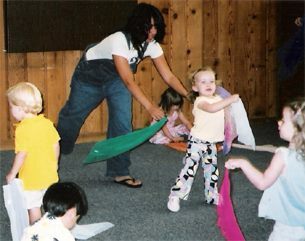 Silk scarves for dancing or hiding under for "Jack in the Box"! 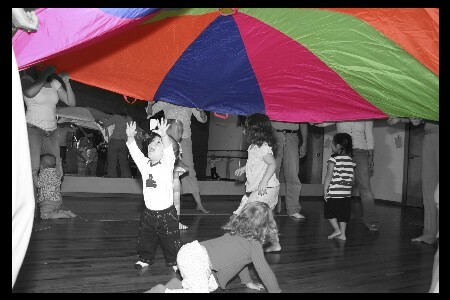 We use the parachute to learn the colors. 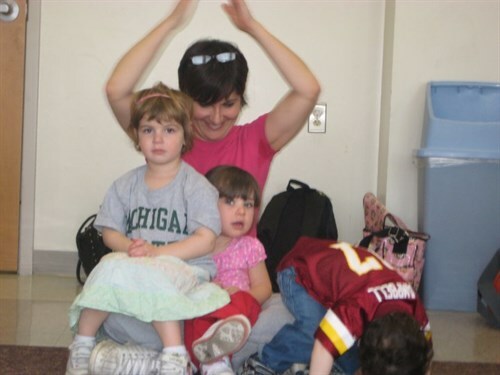 Having the entire family join in on the fun makes Sunday classes great! 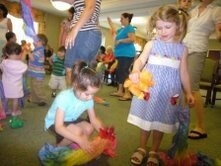 We create a wonderful community dynamic with everyone -caregivers and children participating. 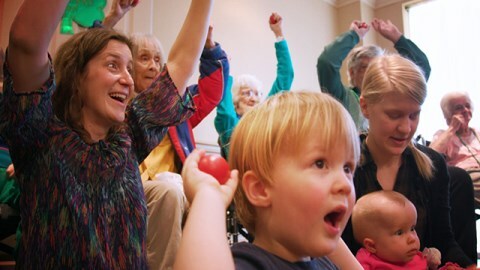 Inter-Generational Music Class at Weinberg Village. Thirteen families and Music Together teacher did music with the residents. What a phenomenal class -- the greatness of giving the gift of music to our children and to the older generations! 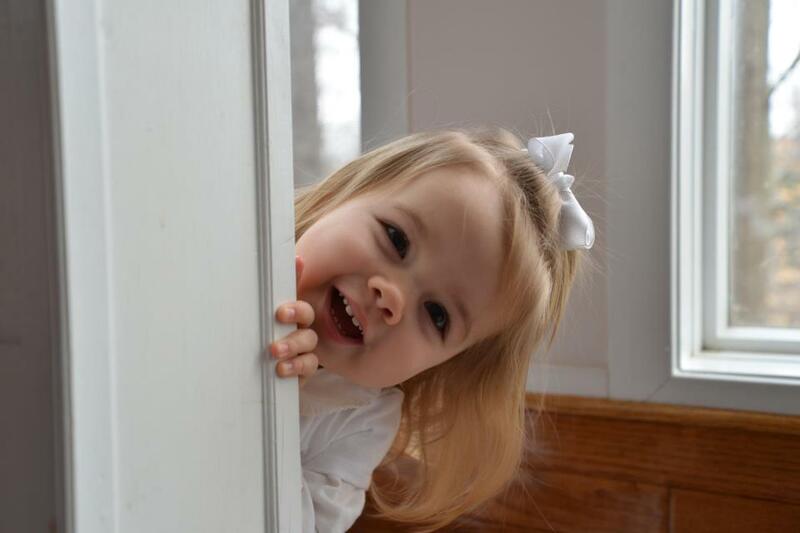 Play'n Peek-A-Boo in our sun-filled Towson classroom. 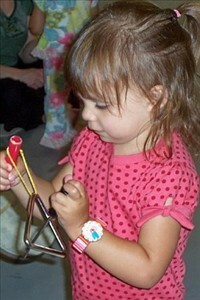 Children learn how to find their own musicality through exploring with the instruments. Three of us trying to share Miss Debbie's lap. Copyright 2008 Music Together Time. All rights reserved.